Persona Entertainment is back with crazy combos using King of Fighters XIV‘s Ryuji Yamazaki! Lots of powerful, high damaging combos of different meter restrictions throughout! Initially I wasn’t too impressed when I watched the trailers for Yamazaki but after trying him out, I felt he was well thought out for the KoF XIV system. While most of the characters would have to get into raw max mode to accomplish more, for Yamazaki he generally accomplishes more by going into the traditional max mode cancel from a normal. Height plays a very important role in his juggles because even a slight height increase opens up new juggles that normally would be too slow to connect. He does poison and it’s not calculated into the damage counter so I ignored it and followed the digits when it came to non 100% max damage combos. All his specials have a specific purpose so sadly I couldn’t fit them all into one video such as putting his projectile reflector, counter and multiple max mode activiations to use. Check out some crazy, possibly impractical, damaging combos by Combonauts using Gang-Il! Many of Gang Il combos require precise timing and are not extremelly damaging, but his combo options were more than we expected, and that was fun. Here´s a showcase of Gang Il combos. We hope you enjoy it! Persona Entertainment has begun his King of Fighters XIV full version combo video journey by showing us what he can do so far with Hein! If you’ve tried Hein out for a quick moment, you’ll quickly realize he’s not a combo heavy character and relies of mind games rather than raw damage. To push his damage even lower, his Climax can only combo on a non juggled opponent and the only way to put them back down onto the ground is to use his Queen super, which can’t even be climax canceled on the last hit which does the most damage. Most of his moves have slow startup but can be comboed after if the opponent gets hit so when building combos, it’s best to work backwards with him, If you notice in the video, Hein seems to take one path in terms of combos, so basically it just comes off to how short or long you want your combos to be in terms of pratical uses. 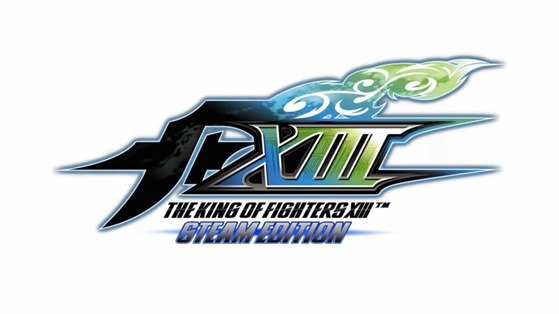 Bruno_kof_13 has recorded and uploaded Nelson combos from the King of Fighters XIV Demo! It starts out with basic combos, then progresses to more advanced damaging combos and setups later in the video! This combo video shows 100% damage combos using Ash, Saiki, Billy, EX Kyo, EX Iori, Mr. Karate, Kim, Hwa Jai, and Raiden! Today, Bruno_Kof_13 just uploaded a short KOF2002UM combo video showcasing Ramon! The combos range in difficulty, either very easy bread-n-butter type combos, easy super cancels, then progress to much longer BC/Max Mode combos involving some links, or much difficult hit confirms! If you are looking for useful combo ideas, or a challenge, try a few of these out in practice mode! Hit the jump to see KOF2002UM combo videos of Benimaru, Vanessa, Mature, K’ and Kusanagi that were uploaded weeks ago! Douglas Pereira of Douglas Production just uploaded another impressive combo video showcasing 100% (or 1000 damage) combos using King, Mai and Yuri Sakazaki of the Woman Fighters Team! All the combos use full stocks of meter and are incredibly flashy. Subscribe to his channel for more upcoming combo videos! Persona recently uploaded a very sick combo video featuring Robert Garcia!